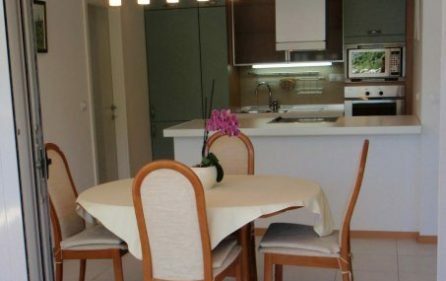 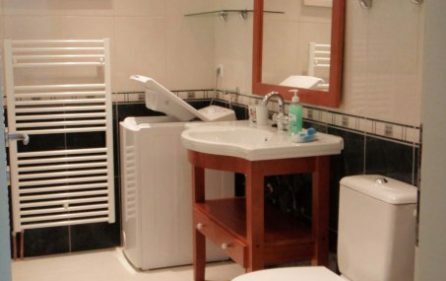 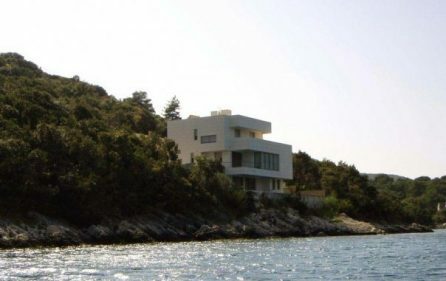 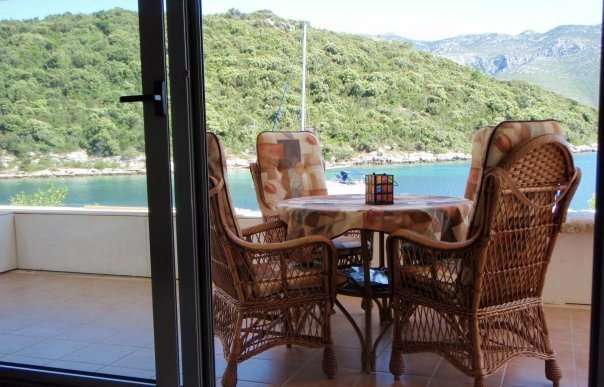 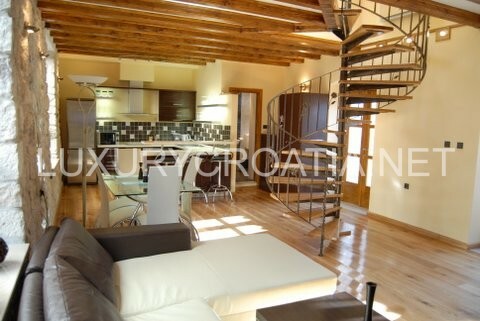 Seafront Apartment for Rent, Korcula Island is a modern apartment situated directly on the sea for 4 + 1 persons (two bedrooms and sofa bed) in a very quiet bay on the island of Korcula, Croatia. 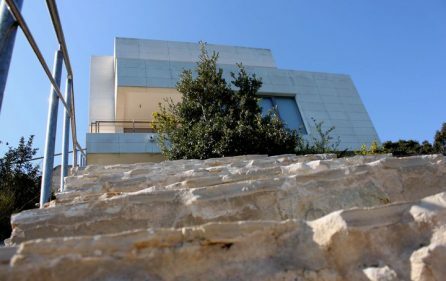 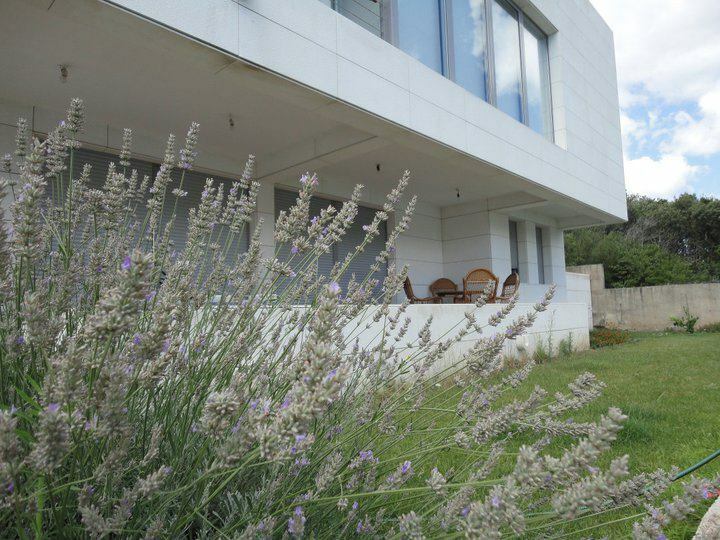 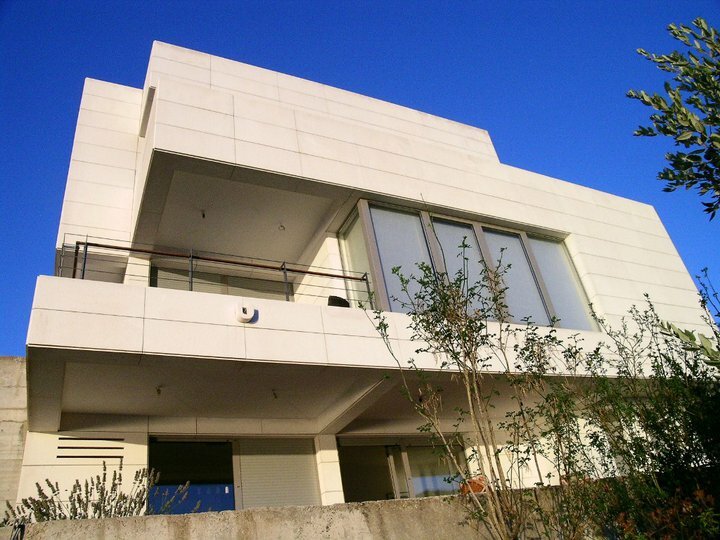 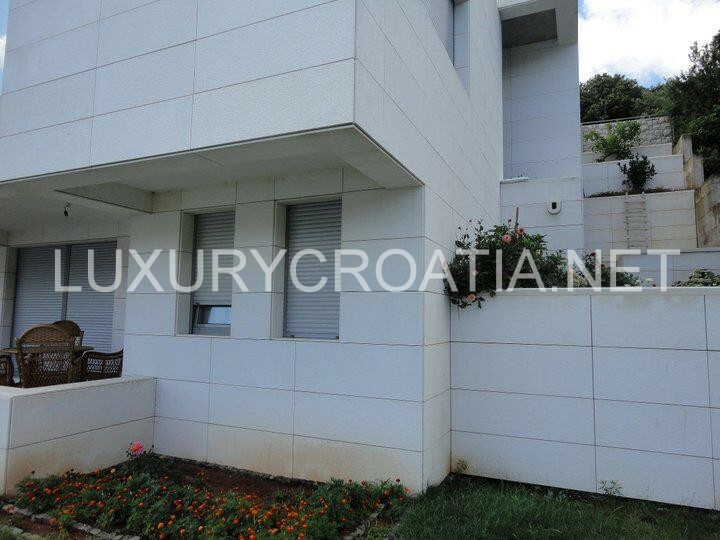 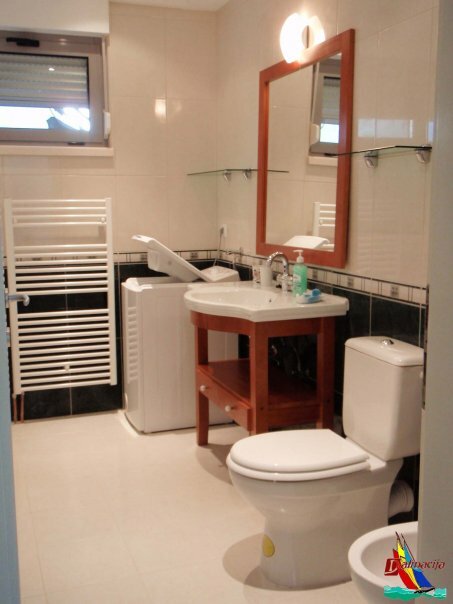 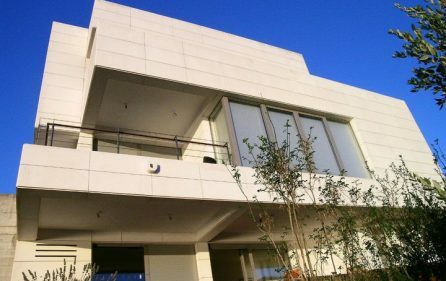 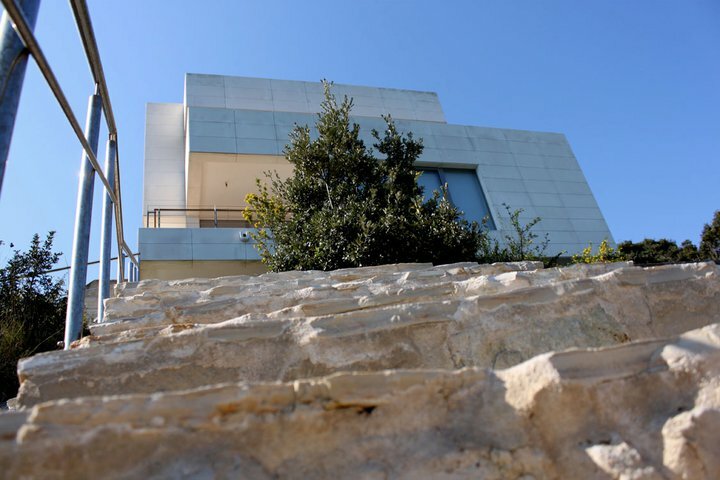 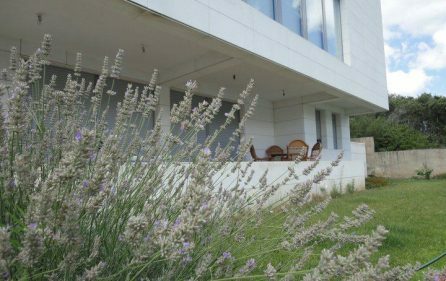 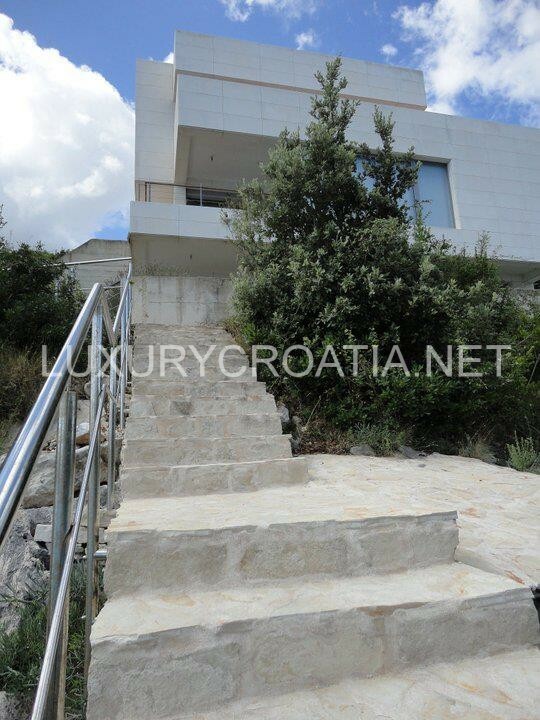 Apartment is on the ground floor of large modern contemporary designed villa. 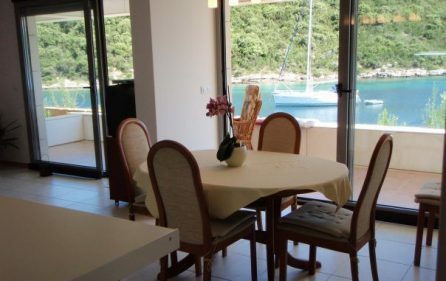 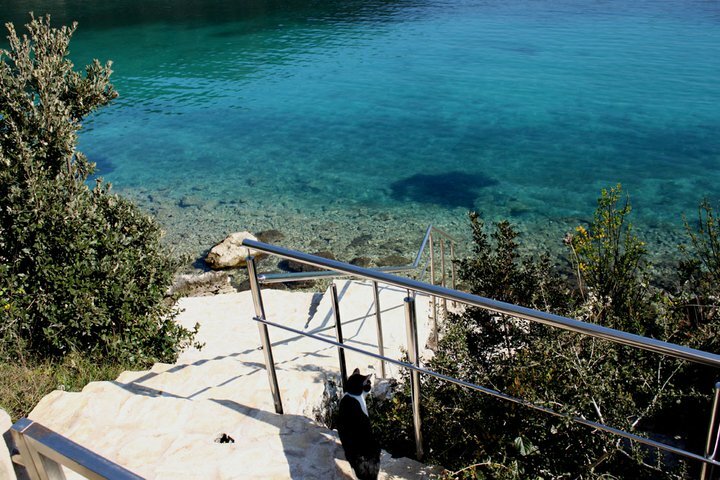 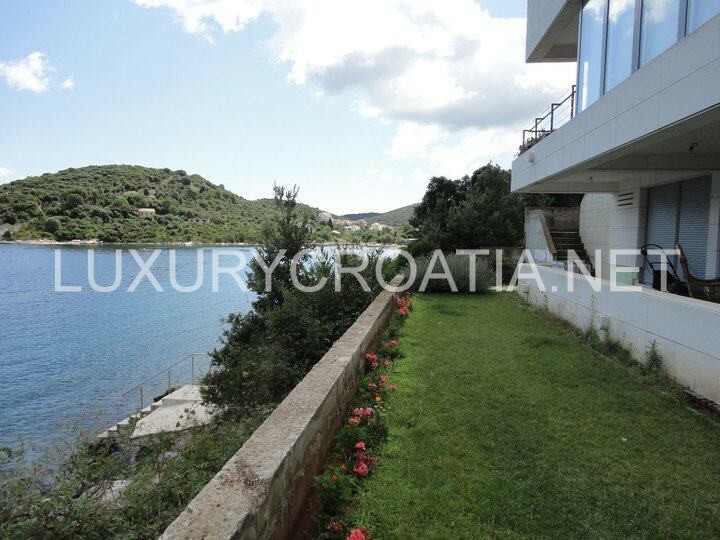 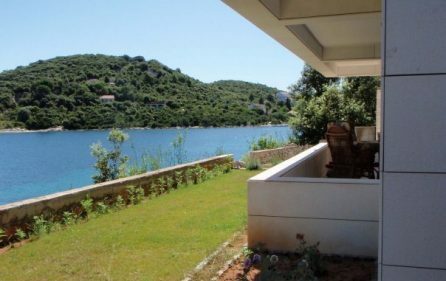 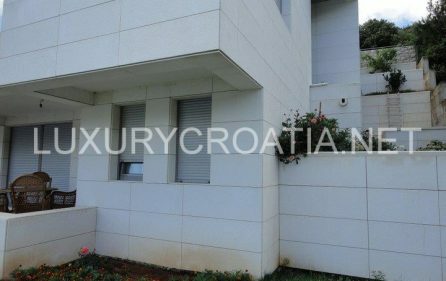 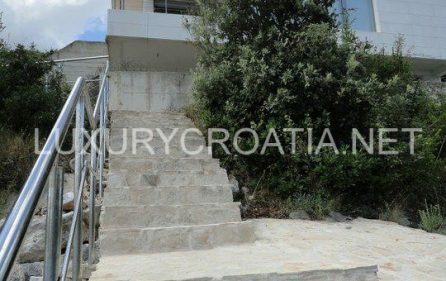 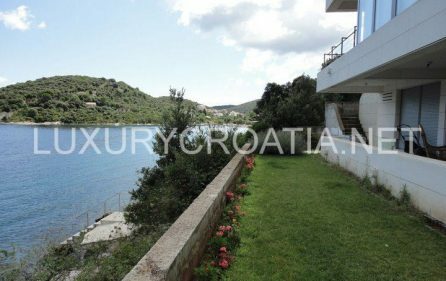 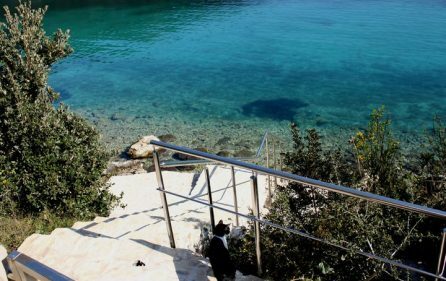 Seafront Apartment for Rent, Korcula Island that is inside the villa which is situated in a peaceful bay 4 km from the town of Korčula. 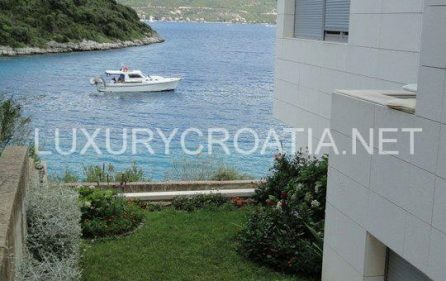 In the villa there is a comfortable apartment of about 100 square meters, which has two bedrooms, a bathroom and a spacious living- room. 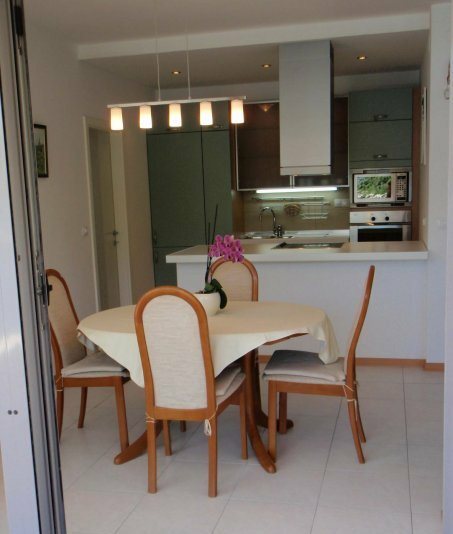 It includes a well equipped kitchen, a dining area and a sitting room, which leads to a spacious terrace. 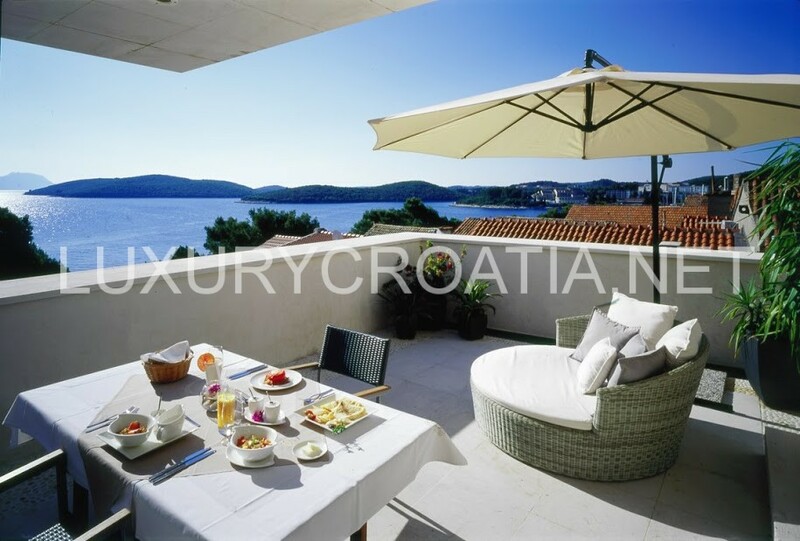 From the terrace you can step to the beach which is only 9 meters away and private to villa guests. 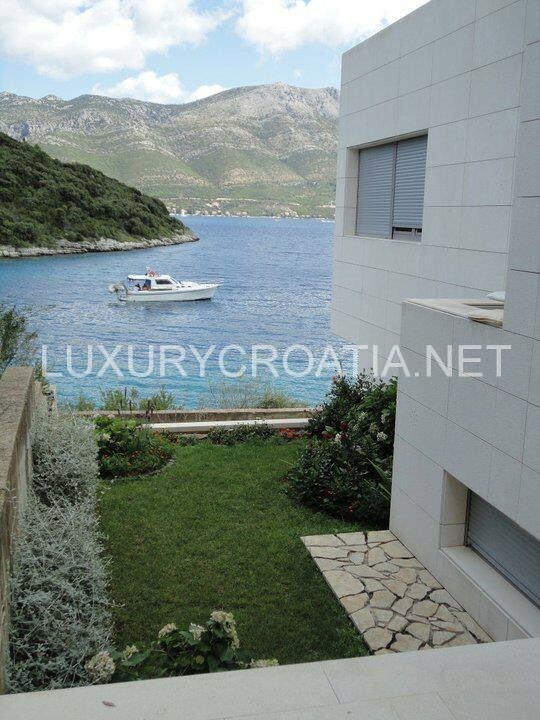 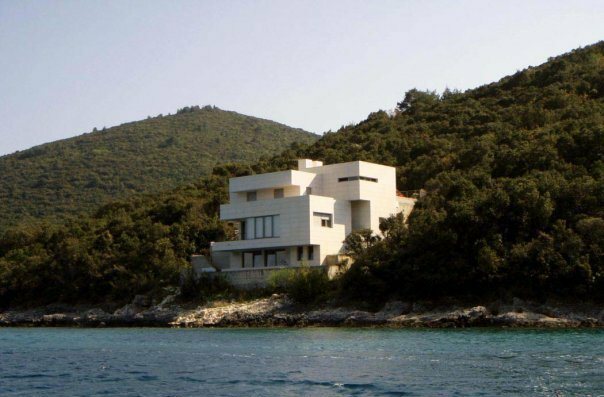 The villa is situated in an isolated location and there are no other houses near. 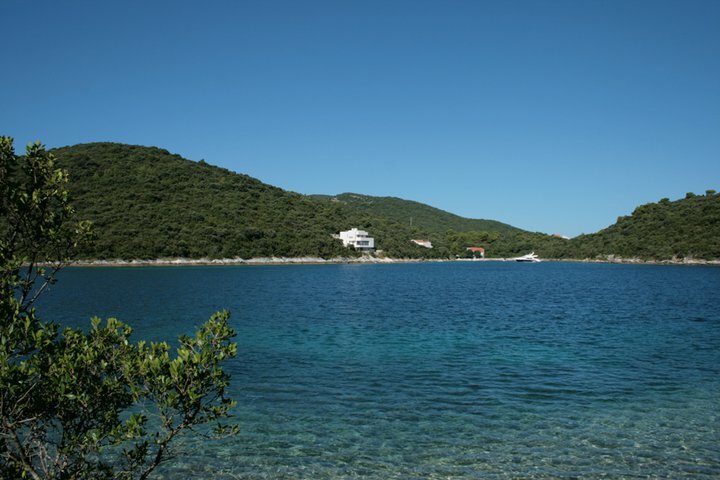 It is surrounded by cultivated lawns, greenery, bird songs and the blue Adriatic. 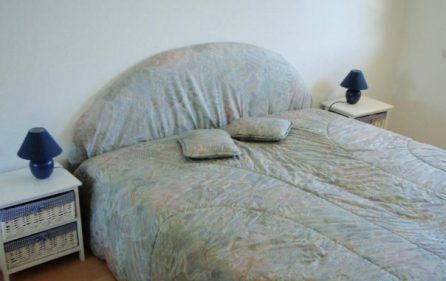 It has an enclosed parking space. 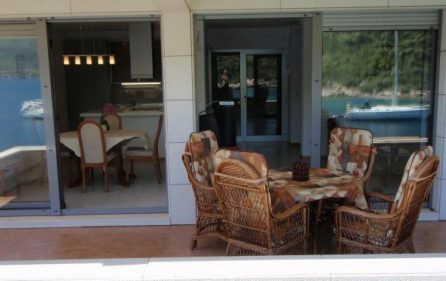 A bedroom, living room, dining room and terrace overlook the sea. 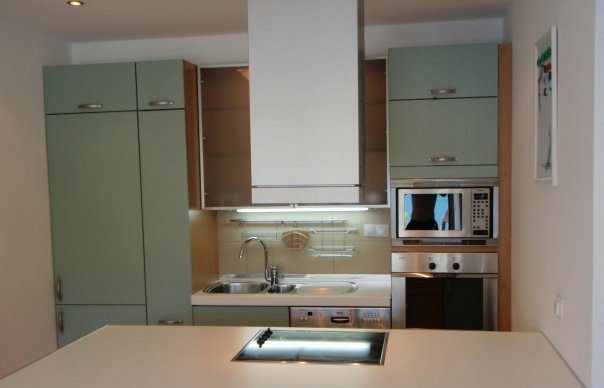 The apartment is equipped with all the modern electrical appliances, such as dishwasher, washing machine, microwave oven, double refrigerator with deep freeze, oven, electric cooker, coffee-maker, toaster, satellite TV receiver, stereo appliance, and connection for the Internet. 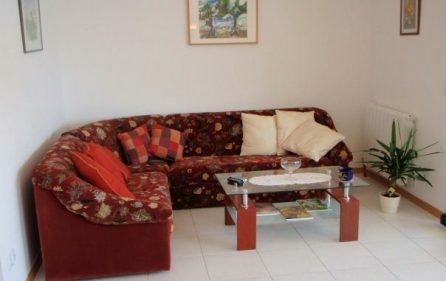 The apartment has central heating so it can be used all year round. 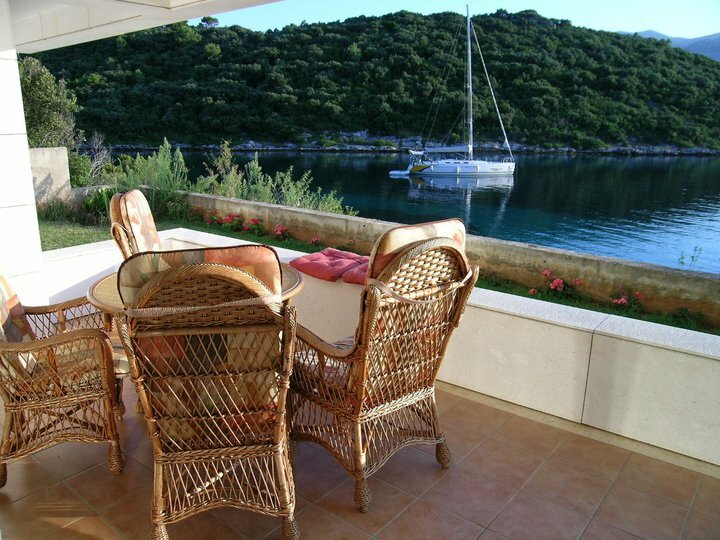 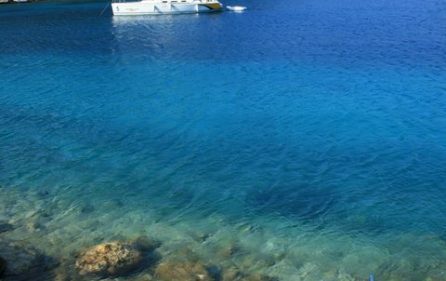 The island of Korcula – the Pearl of the Dalmatian Coast, is one of the most popular islands for relaxing. 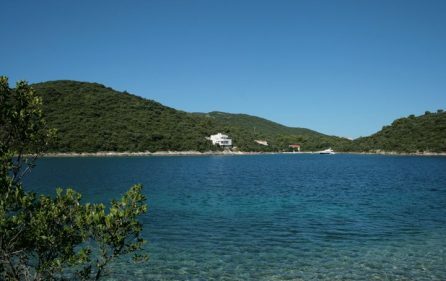 It is surrounded by numerous islets with picturesque coves and beaches, nice places for daily trips. 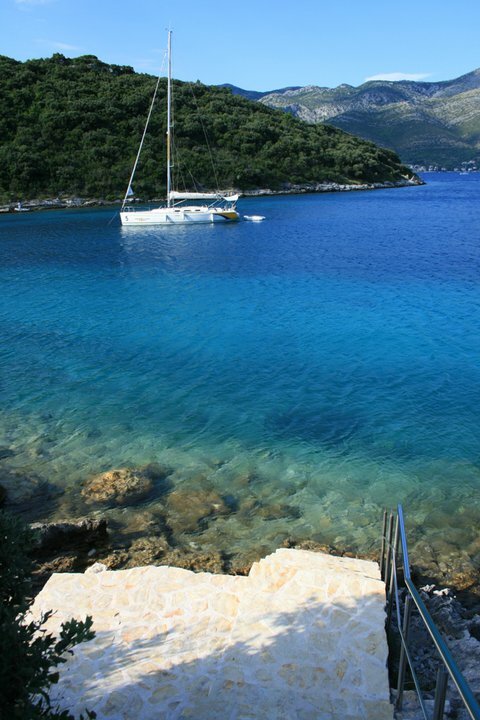 The town of Korcula is the birth place of Marco Polo, a town rich in historical and cultural tradition. 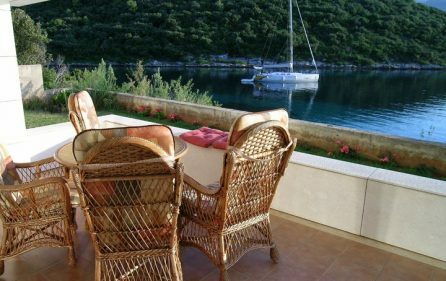 From Korcula one can easily reach interesting places like Dubrovnik, the National park on the island of Mljet, Medjugorje, Mostar, one can experience the rich cultural traditions, visit numerous country estates and enjoy untouched nature and the crystal clear sea, fresh fish and mussels, the famous original fine wines and natural olive oil of the region. Prices per day in Eur 2019.